THPBlog: Sierra Pacific Industries to log east of Red Bluff in Tehama County. Sierra Pacific Industries to log east of Red Bluff in Tehama County. This THP is east of Red Bluff, CA about 8 miles SW of the town of Mineral and Highway 36. Sierra Pacific Industries is planning a tractor based logging operation in white fir, ponderosa pine, sugar pine, Douglas fir, incense cedar and red fir forests at an elevation of 4,600 to 5,600 feet. 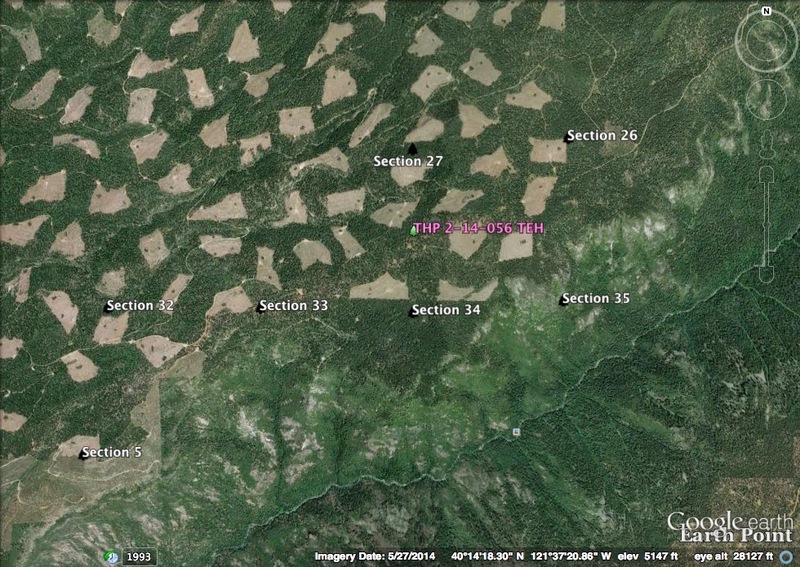 Sections 5, 26, 33, 34, and 35 are adjacent to the Mill Creek Roadless Area, and areas where fires burned in 2008, 2012 and 2013. SPI is proposing to be able to construct temporary roads under 500 feet within units without pre-designating the locations on THP maps. 29 road drainage sites are planned for work including rocking, dip construction and culvert repair and replacement. There are 2 CA spotted owl territories within 2 mi; including a CA spotted owl within 1 mi in section 28, and a CA spotted owl within 2 mi in section 2. Two goshawk nests were reported to be within 2 mi of the THP area in section 2 and section 28. More information is available on the THP Tracking Center website.